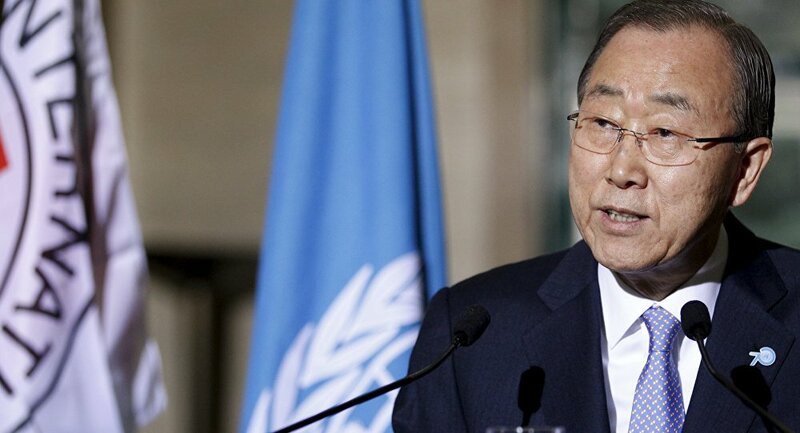 United Nations Secretary-General Ban Ki-moon expressed concern with conditions in Australia’s refugee detention facilities and urged Canberra to reconsider its strict policies, a readout of Ban’s meeting with Australian Prime Minister Malcolm Turnbull stated. MOSCOW (Sputnik) – Refugees, including young children, seeking asylum in Australia are settled in offshore detention camps at the nearby Manus island in Papua New Guinea and Nauru in the South Pacific. Rights groups criticize the camps for inhumane living conditions. "The Secretary-General expressed concern over the detention conditions in Australia’s offshore processing centers and encouraged the Prime Minister to reconsider ‘Operation Sovereign Borders,'" the late Sunday UN statement read. Operation Sovereign Borders is Australia’s military-led border control operation launched in late 2013 by Turnbull’s predecessor, Tony Abbott. It includes a maritime dimension with Naval and Border Force ships patrolling the country’s territorial waters to prevent traffickers from smuggling asylum seekers into Australia. A recent Amnesty International report condemned Australia for being "complicit in transnational crime" by paying smugglers $32,000 earlier this year to reroute a boat carrying some 60 migrants bound for New Zealand to Indonesia under Operation Sovereign Borders. Ban met Turnbull on the sidelines of the 10th East Asia Summit in Kuala Lumpur, Malaysia, established on the initiative of the Association of Southeast Asian Nations (ASEAN).